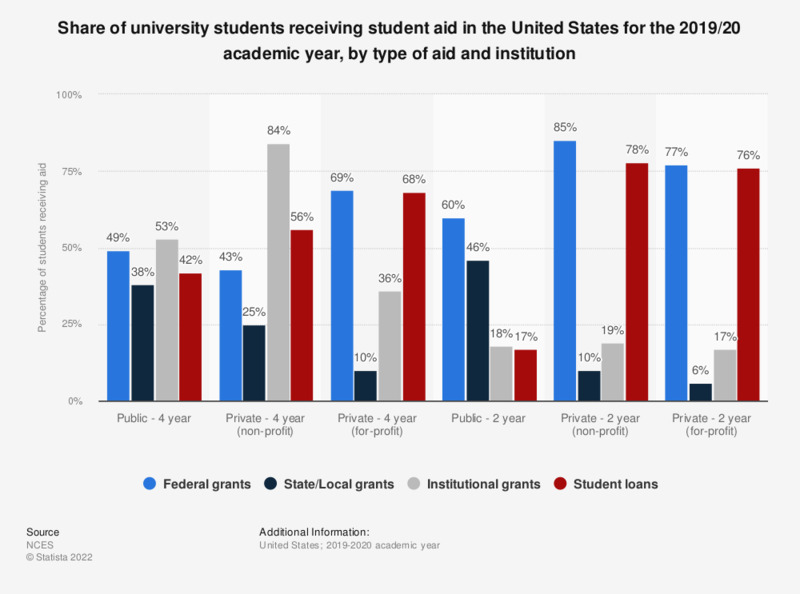 This statistic shows the share of university students that received different types of student aid in the United States in the 2015/16 academic year. A differentiation is also made between students at 4-year and 2-year institutions. In the academic year 2015/16, about 72 percent of first-time, full-time degree/certificate-seeking undergraduate students received federal grants in private for-profit 2-year institutions in the United States.